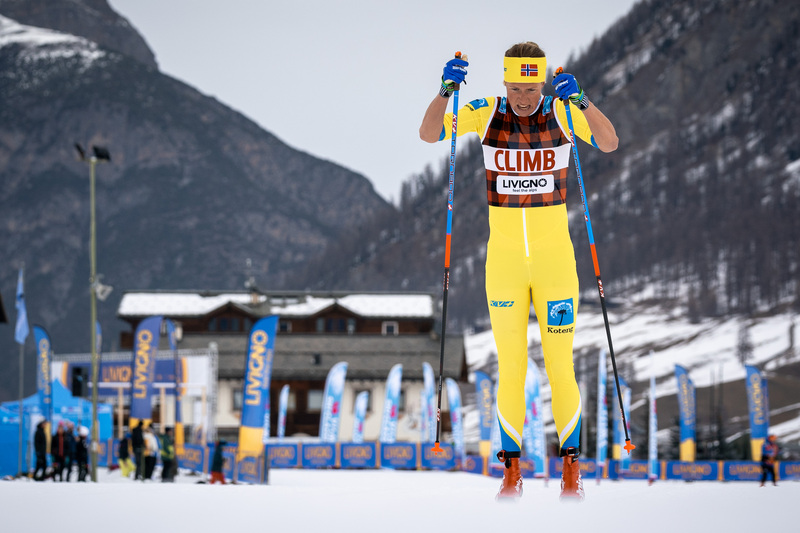 The Visma Ski Classics season IX kicked off with a 15 km Pro Team Prologue race in Livigno, Italy, where each pro team’s male skiers started together with three minute intervals between based on the pro team ranking. The third best male skier’s time in each pro team was counted as the total time and their female skiers started their pursuit race according to the time difference gained in the men’s race. Last year’s winning Pro Team Ragde Eiendom was last to go with high hopes, but the bright day quickly turned upside down as Tord Asle Gjerdalen could not keep up with his teammates and the entire team did not perform as expected. Lager 157 Ski Team, 2ndin the overall results last season, and Team Koteng, 3rdlast year, were able to outdo the number one pro team and finish in the top three after the men’s race. The real surprise came in the form of the Norwegian Team Kaffebryggeriet, as it was the fastest of the male Pro Team Tempo. 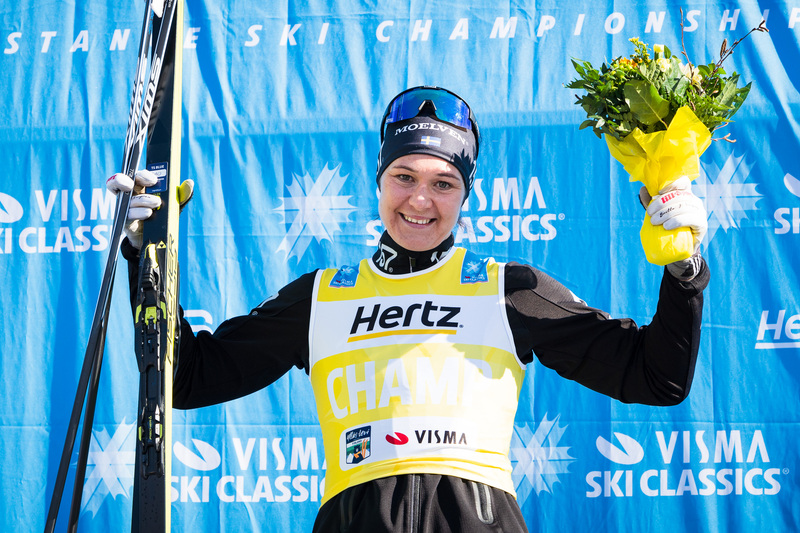 Unfortunately, their female skier was unable to race due a sudden illness. Right after the men’s tempo, the women set out to finish the competition. Lager 157 Ski Team’s Britta Johansson Norgren got a head start of about seven seconds before Team Koteng’s Astrid Øyre Slind. These two skiers played cat and mouse throughout the race, but Britta was able to keep her opponent behind and take home the pro team victory. Behind the two was Kateriná Smutna, Ed Systems Bauer Ski Team, and Maria Gräfnings, Team ParkettPartner- another surprise pro team today. They had their own battle, and the former turned out to be stronger in the final sprint taking her team to the podium. 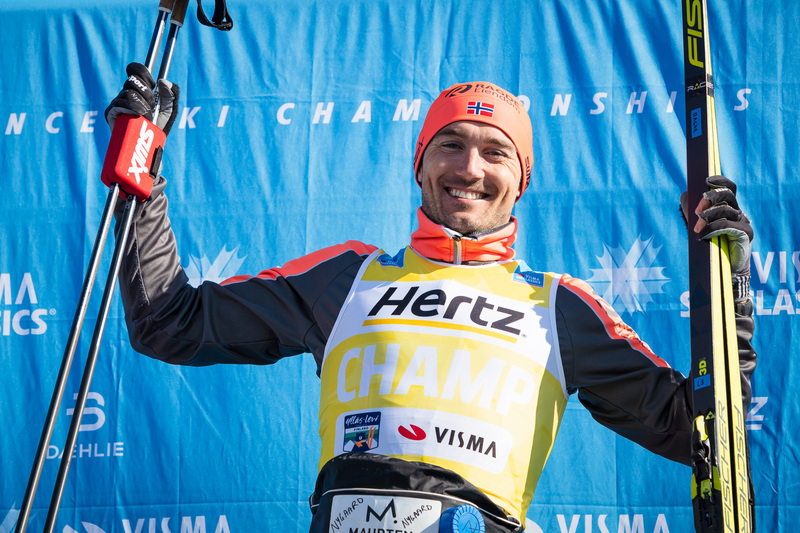 One of the highlights today was to see the two-time Champion of Visma Ski Classics and one of the undisputed heroes of the sport Petter Eliassen returning to action in Team BN Bank’s ranks after a year-long hiatus, but his team underperformed and did not even have a female skier. Next event is the individual Prologue of 28 km which takes place this Sunday 2nd of December. Women start at 9:30 am and men at 11 am in Livigno.